Educational leaders have incessant interest in keeping their institution abreast to the ever changing demands of the society. They are challenged with the realities of innovation in order to cope with the global demands. They are confronted with the possible effects of change, competition, economic crisis and the rising demands of employees that possibly affect the operation of their institution. Change is inevitable, for change is the only constant in this world so it is important that leaders know how to manage and drive through change, effectively taking into account all of the factors that have impact on others, systems and processes (MTD, 2010). The success and failure of any educational institution lies in the hands of the school leaders. School’s effectiveness and success is possible if the leaders can both assume the roles required in the management and leadership process. Management promotes stability to enable the organization to run smoothly, while leadership promotes adaptive or useful changes (Schermerhorn, 2011) to make the school updated and relevant to the recent trends in education and society as a whole. The contemporary leadership styles and the effectiveness of the managerial functions are connoted in this study as the capacity of the school leaders in making their respective institution effective and updated. This study aimed to determine the extent of contemporary leadership styles and managerial functions of the college administrators and its relation to the level of organizational effectiveness of Private Higher Education Institution’s (HEI’s) in the provinces of Mindoro and Marinduque. This study utilized the descriptive correlational and descriptive comparative method of research. The stratified proportional random sampling method was utilized to determine the distribution of respondents using the Slovin’s formula at .05 margin of error. All college administrators and a total of 232 faculty members were used as respondents of the study.The researcher made questionnaire was utilized as the data-gathering device. The data gathered were analyzed statistically using the following measures: mean , t-test, Pearson Product Moment Correlation Coefficient, One – Way Analysis of Variance, Scheffe Test, and Coefficient of Determination (r2). The study found that Ethical and Transactional leadership are respectively the most and the least used leadership style by the school leaders of HEI’s. As for the management functions, the respondents agreed that motivation is a strong managerial function that the school leaders are exercising. The study also found that the HEI’s are very effective in their performance. Finally, the study found that the school’s level of effectiveness is heavily dependent to the kind of contemporary leadership styles and to the managerial functions employed by the school leaders in handling the school operation. And the managerial performance of the school administrators/leaders is influenced by the leadership styles they used. Petere, Junrey P. (2013) Contemporary Leadership Styles,Managerial Functions and Organizational Effectiveness of College Administrators of Higher Education Institutions in the Provinces of Mindoro and Marinduque. Dissertation. Mindoro State College of Agriculture and Technology. Submission Details: Dissertation Abstract submitted by Junrey Petere from Philippines on 05-Oct-2016 12:31. Abstract has been viewed 283 times (since 7 Mar 2010). 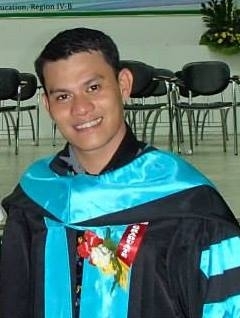 Great care has been taken to ensure that this information is correct, however ThesisAbstracts.com cannot accept responsibility for the contents of this Dissertation abstract titled "Contemporary Leadership Styles, Managerial Functions And Organizational Effectiveness Of College Administrators Of Higher Education Institutions In The Provinces Of Mindoro And Marinduque". This abstract has been submitted by Junrey Petere on 05-Oct-2016 12:31. You may report a problem using the contact form.